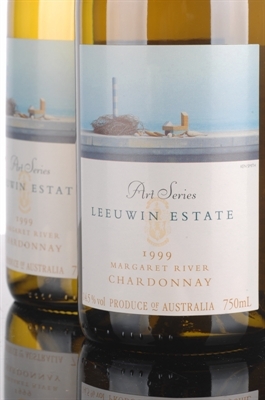 The 1998 Chardonnay Art Series, is aged in 100% new oak, and sees either partial or full malolactic fermentation, depending on vintage conditions. The 1998 Chardonnay Art Series, is aged in 100% new oak, and sees either partial or full malolactic fermentation, depending on vintage conditions. This cuvee often requires several years to open, but the 1998 appears to be revealing plenty of buttered nuts, smoke, and mineral-infused, concentrated fruit in a medium to full-bodied, classy, restrained yet powerful style. The Australians feel these wines age well longer than I do, but this is unquestionably a Chardonnay that will keep and improve for at least 4-6 years.